The Neopian Times Week 75 > Articles > Gallery Spotlight: Healthy Competition or Security Threat? NEOPIA CENTRAL - Neopets has done it again: turned a leisure activity into another competition, this time with the simple hobby of restocking your shop. Of course, the little faerie gallery and the shop with all items relating to the persons username will win, but is it worth it? Of course not! In fact, I've come today to discuss one of my least liked additions of the new year: the gallery spotlight. 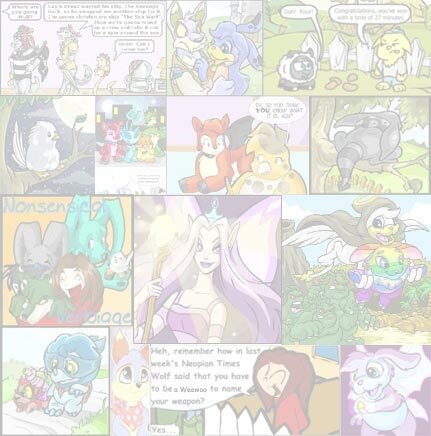 After about two weeks away from Neopets, I came back on the 17th and read the news about a 'Gallery Spotlight'. At first glance I knew it wasn't good. In fact, I was outraged when I read it. 'Gallery Spotlight?!' I thought to myself. 'What are they-crazy? I don't get it!' Honestly, I still don't. However, I've kind of thought it out in my mind: a contest for those more fortunate to buy paintbrushes and Cubed Shaped Cherries. A contest in which people win based on their shop size and contents. Lets look at an average Neopian: 100k in the bank, casual fighter, average businessman. Say a normal person has a size 22 shop. Now, how much can that hold? 110 items. That's not even enough for the whole petpet collection. Now lets take a look at the richer Neopian: 800k in the bank, frequent battler, DSL businessman (restocks!). That person could have maybe a size 110 shop. They could hold 550 items, enough for two sets of plushies and then some. Does that seem fair in a competition about what people have in their shop? It would also be a big publicity stunt, especially for those rich. I mean, how could they lose? Their business is doing great, why not go farther and get a trophy for you DSL-business person skills! What a great opportunity. Now, you may be thinking, 'well, what if it's not just based on size and stock? Maybe it's also based on appearance.' If you're thinking that, I'm really sorry for you. Great! It's based on appearance then. Maybe if I slow hundreds of computers down with heavy-metal MIDI's then maybe I'll win! Or I can put up a nice animated neonish rainbow background, plus a bunch of dolls I made! I'm so gonna win now! What a fantastic idea. Maybe you'll get even more publicity then, known as the shop that won for their neon-rainbow background (that is animated) you have to check out. Oh yeah, I'm going to go there. There is one other issue not as frivolous though: scamming. This contest is an open field for shop scammers wanting a few more victims. All they have to do is look innocent, and at least one person could fall for it. Maybe they do a heavy check of links and whatnot, I don't know. I'm just saying, you never know. So, you defenders of this new Spotlight, what do you think now? Not so sure of this new idea, are you? I'll still respect your opinion either way, I'm not that evil. If this is published, which I highly doubt, people may be offended. Don't be. I'm just spreading my opinion out to the people who deserve to have the facts laid out. In the meantime, watch out for scammers...and enjoy 'Newopia'. 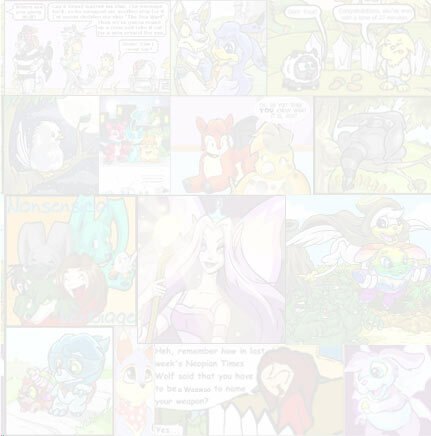 Since the loss of Meridell's fascinating games, Neopets has been frustrated about this dwindling issue yet again.